In my last column I addressed employee misconduct on social media and what it would take to terminate employment for cause. In this article I will be dealing with tips for employers in managing social media entanglements at the end of the employment relationship. We all know that social media has impacted our personal lives. It is also clear that the boundaries between what is personal and what is business/the workplace, is becoming increasingly blurred. According to statistics released on FastCompany.com, social media and e-mail is consuming half of our work days as employees manage multiple “in boxes”. Understandably, businesses have legitimate concerns about how this impacts productivity. Having said that, in many cases social media has become an increasingly valuable and effective tool for realizing business efficiencies and promoting ones business. The popular wisdom is that regulating rather than prohibiting access to social media is the better way to go and will allow employers to embrace the new technology while at the same time manage its usage. So, how does an employer promote the use of social media and protect its own interests? How does it protect its good will and confidential information, including client contact information, particularly when the relationship comes to an end. The speed with which information can be transmitted both during and at the end of employment is something employers should try to manage with the use of well crafted employment contracts and or offer letters and workplace policies. The question of ownership of information that may have been gained through business connections in social media such as Linked In or Twitter is an emerging area of law. Most decisions to date are out of the United States and United Kingdom. In Hays Specialist Recruitment (Holdings) Ltd., v. Ions, a UK employee (Ions) had uploaded Hays’ client contact information to his Linked In account. The court held that Ions had to hand over the details of his business contacts he had built up on a personal Linked In page. The judge was persuaded by a clause in the employment contract which prohibited him from divulging confidential information. In the case of Sasqua Group v. Courtney a New York court held that customer information acquired by an employee through the use of social media during her employment could be used by her in establishing her own competitive enterprise. Sasqua Group is an executive search firm. When one of its employees, Courtney, left to start her own firm and several customers moved with her Sasqua Group brought a court application to stop Courtney from using what it referred to as confidential and proprietary information. Courtney was successful in arguing that the information was not confidential as all the contact information she had compiled could be found on social networking sites such as facebook and Linked In. This raises a host of issues in terms of what can an employee take and use after leaving a job and how effective are restrictive covenants and in particular non solicitation clauses in this new social media world. Does merely “friending” or following a restricted party (client or customer) via social media amount to a solicitation? These and other issues including ownership of social networking accounts is and will continue to be a subject of dispute and litigation. It is important for employers to create contractual obligations through employment agreements and policies if they wish to retain what is often critical information that has been gathered by the employee for the use and enhancement of the business. Review existing non solicitation clauses to determine if they need to be expanded to address social media concerns. Pamela Krauss is an expert in employment law. 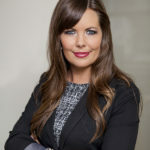 She has appeared before the Ontario Small Claims Court, Superior Court of Justice, Divisional Court, and Court of Appeal and the Human Rights Tribunal of Ontario. She also has a breath of experience in handling Ministry of Labor complaints, Canadian Labor Board unjust dismissal claims and Canadian Human Rights Commission applications. Software Platform Business Models adapting to Canadian Employment Law: UBER Big Legal Challenges?